My second beautiful baby was born at the end of 2014. The months leading up to his birth were filled with anxiety, panic and dread at the thought of having to somehow navigate my way through those first three months again, now also with a highly sensitive toddler at my feet, as those months with my first baby were undoubtedly the hardest of my life. I’d had unexplained low supply with my first little boy, despite over forty lactation consultant appointments all over the country, and I had never found any answers or solutions. I spent much of my second pregnancy working with two lactation consultants, a counsellor and midwife, to accept that this was a different baby and that we should take our breastfeeding relationship on a day-by-day, hour-by-hour basis. After dealing with a lot of past wounds, we managed to be able to bring my baby to my breast after birth, but always maintained my goal of simply not having a hungry baby. When my second little boy was first put to my breast, I was astonished at how entirely natural it felt. There was no anxiety, no worry, just awe and love. After eight days in hospital, my baby was at my breast for 18-22 hours each day and his weight was stable, but he wasn’t gaining. We were discharged and my midwife / lactation consultant came to our house every day for two weeks, and then every second day for the following two weeks. My boy continued to only maintain his weight and his stools remained tar-like meconium – not the mustard-yellow that I so longed for. At ten days, she told me that I needed to supplement. She mentioned a Supplemental Nursing Systems (SNS), and my husband had one shipped express directly from Medela. The 48 hours that it took for the SNS to arrive were some of the longest of my life. For those evenings, my midwife came to my house for three hours, when my supply was at its lowest, and would syringe in some formula supplement while by baby fed at my breast. She taught my husband how to do this and there was one heartbreaking attempt in the early morning hours where everything went wrong: I was in a lot of pain, my husband was getting frustrated that he couldn’t do it as easily as my midwife could, my baby cried continually and then vomited up all the milk we worked so hard to get into him… It was then that I looked at those bottles in the back of the bottom drawer and knew how easy it would be to change the course of things right there and then. I realised that I was in the exact same place that I was with my first baby, where I was so blindly adamant to make this work, and I was allowing my baby to be hungry, which I had vowed I would not do. I cried to my husband as he walked around the house with our baby in the carrier, I cried in the toilet, I had a bath, I cried some more, I apologised profusely to my little baby, I went into my big boy’s room to kiss him while he slept, and I didn’t give a bottle. I have since learnt that the nights are not times to make big decisions – everything seems better in the day. The SNS came the next morning. I know that this was the right decision for me, and I was lucky that my baby fed well with the SNS. I am aware, however, that I held a deep paranoia that the moment my baby has milk from any other source besides my breast, he will refuse to breastfeed any longer. I logically know that this is not true, I know that absolutely not all babies are like this, and yet it is a deep and intense feeling inside me that I must never give him a bottle. This of course resulted in him being one hundred percent reliant on me for his milk, but this was a choice that I continued to make every day, every feed. And so, for five and a half months, I fed my boy with a Supplemental Nursing System. 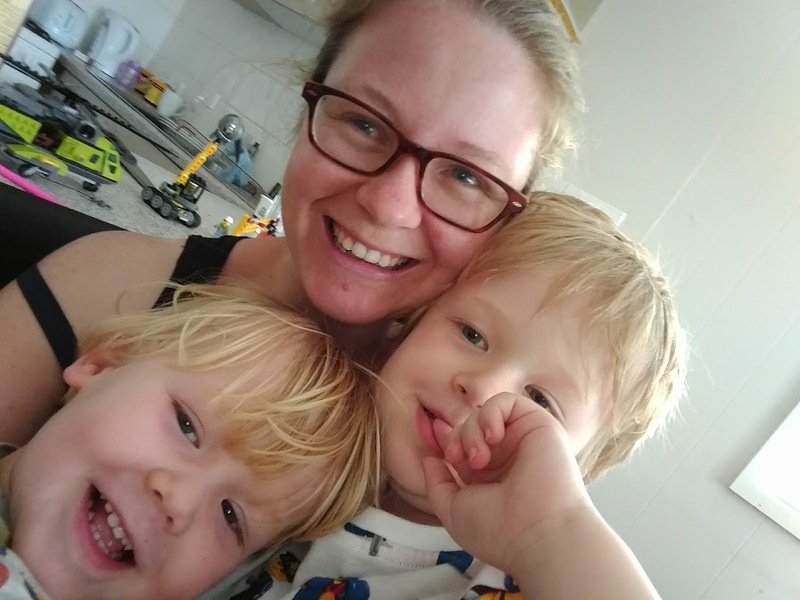 When I first began using this, I was entirely housebound, which felt incredibly unfair to my two-and-a-half year old… I was petrified that anyone seeing me use this system would judge me, see me as less than the perfect mother to my children – both the baby I was unable to exclusively feed, and the toddler I was unable to give my full attention to. I was also afraid that people might presume, when seeing the presence of these tubes, that my baby is sick, and the thought of that filled me with panic. Living as an immigrant in a country where the language barrier remains a daily battle (an Australian in Switzerland) just exacerbated these issues, as any attention from any member of the public caused me anxiety as I might be unable to express myself in the way that I really wanted to. I began to realise that nobody in Switzerland seemed to really know about it, not the paediatrician, and not even the nurses at the children’s hospital when we had to visit one night. The lactation consultants I spoke to knew of it only to induce lactation for adoptive mothers, or for mothers who had had mastectomies. I slowly began to feel a sense of pride and to see it as my duty to introduce this contraption to the world as simply another way that women can feed their babies. I would feed in public, with the bottle and tubes on full display, and actually hope that people would look and ask questions. This was the beginning of my desire to share my knowledge, and I know that I have helped a number of women by simply allowing them to see this system in action. 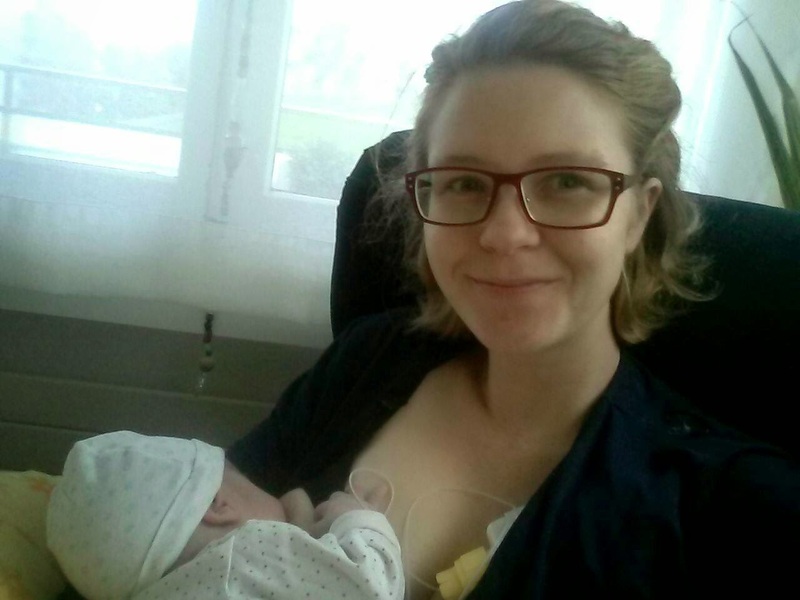 I began to experience glimpses of the joys of a breastfeeding relationship. I could bring my baby to my breast when he was unsettled or in pain, and he would find calm there. I could feed him to sleep and feed him to awake, and when he was four months old, I began to be able to feed him throughout the night without any supplement, which was life-changing. Although I had successfully established this relationship, I was not satisfied. I could not understand why I was unable to breastfeed, and instead of having moments, hours and days where I would feel very sad and depressed, I began to feel very angry. All the expert consultations I received concluded the same way: I had done everything humanly possible, I was to be congratulated and I should enjoy this relationship. But I wasn’t satisfied: I wanted to be enough for him, and I wasn’t, and nobody could tell me why. I focused on eating and drinking to promote lactation (do you know how many ‘tips’ there are globally?! ), including the use of herbs, homeopathics, vitamins and, eventually with the medication domperidone (Motillium). A tongue and lip tie had been ruled out at birth and a few weeks later, as had hormonal imbalances, placental remnants and lack of breast tissue. I came to the conclusion that it must simply be my personality that were the cause of my low supply: My thought processes, my overanalysis, my intensity. This was hard. Really hard. I would look at my boy’s beautiful chubby feet and instead of feeling proud that I am feeding him the amount his body needs, I would wonder how much of that is from my milk, and how much is from supplement — both donor milk, and formula. His big toe – is that the supplement toe? I realised the total lack of rationality of these feelings, and yet… I couldn’t accept it. I’ve never been good at accepting help, from people or from milk. Choosing to use domperidone (brand name Motillium) was also a very important step in our journey. 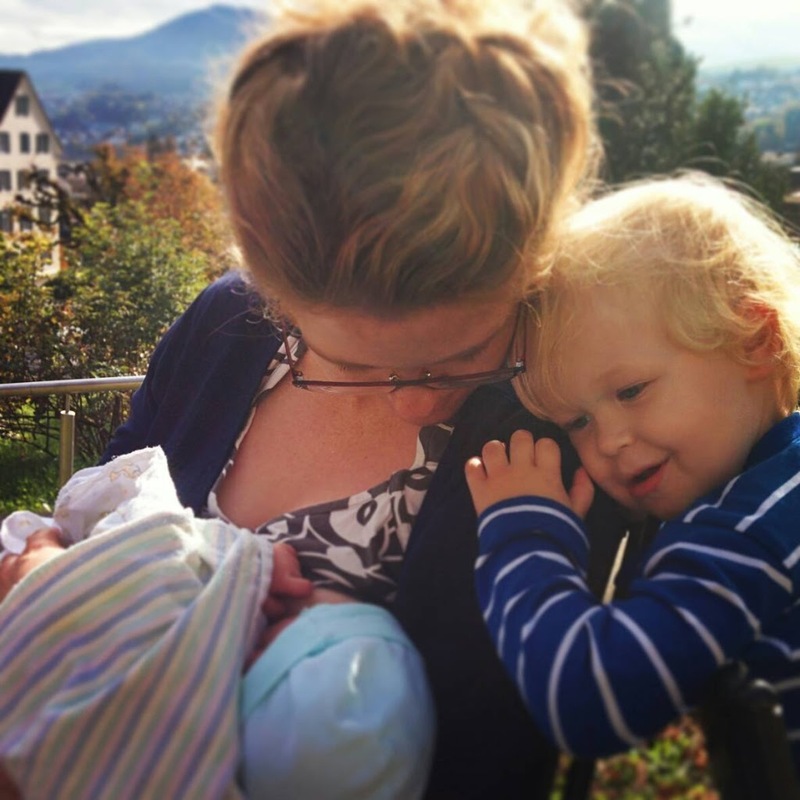 Switzerland seems to be the home of all things anthroposophic and homeopathic; I chose a small, alternative, anthroposophic hospital to birth my children and I chose the most ‘alternative’ midwife I could find, as I felt the most deeply connected to her. It was after a lot of intense introspection, a lot of questioning and speculation, that I decided to speak with her about domperidone usage. I was relieved that she was so open to the idea and was entirely supportive of trying it, but she admitted to me that she did not know very much at all about it, and once again it is a very uncommon here in Switzerland. Indeed, when I wrote to the past lactation consultants that I had used for my first baby, none of them had any experience using it either. I managed to get a prescription to take 60mg for eight days and see if the amount of supplement required reduced. This meant that, for the first time, I had to track the number of times I was feeding him and the amount of supplement he was taking. I had avoided doing this beforehand, as I had worked with my lactation consultant/counsellor to allow my mind to be in a place that did not overanalyse such things. I began to do my own very intense research into domperidone usage and realised quickly that this prescription I received was potentially not going to do much at all. I had a Skype consultation with an Australian lactation consultant who reinforced my ideas and encouraged me to try a higher dose, and I was in correspondence with Dr Jack Newman who also encouraged a higher dosage for a longer period of time. After two days, I called my midwife armed with literally dozens of scientific articles and anecdotal reports that demonstrated that I needed a higher dosage for a much longer period of time. 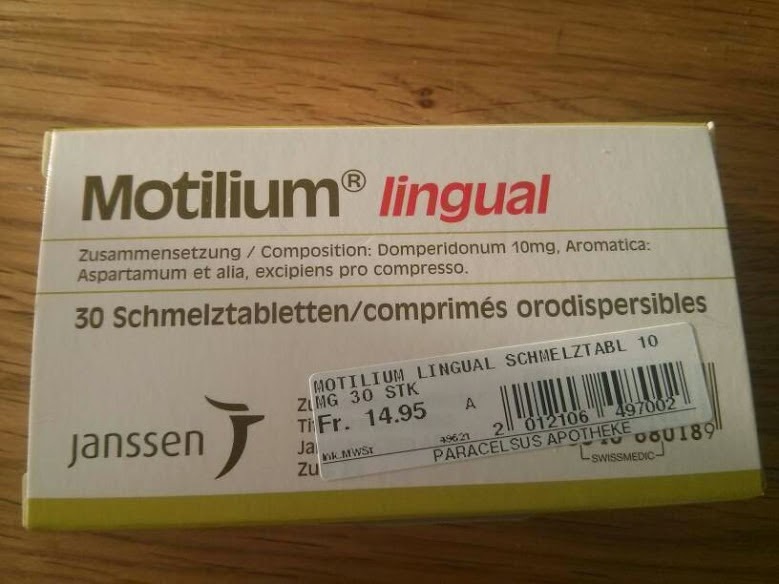 She laughed, told me that in the past week I had probably become Switzerland’s expert in domperidone usage, and immediately sent me an open-ended prescription to take as much as needed for as long as needed. Supplementation went down from 50% of his probable daily intake to around 15-20%. After six months, I began to slowly wean one tablet per week. Occasionally my milk supply would drop drastically and I would go back up again. It took around four months for me to be able to wean off domperidone completely. Domperidone was not necessary in ensuring that my baby did not go hungry, as per my original goal, but it was one step closer to achieving my dream of being able to feed my boy with no supplemental milk. 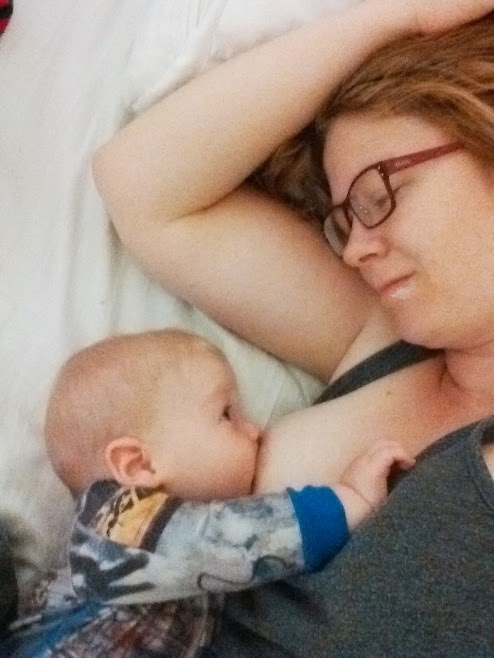 At five months, I stopped mentioning to anybody about how I longed to exclusively breastfeed my little boy, because I just became so tired of justifying the claim of having not enough milk, of rattling off the dozens upon dozens of supplements and tricks that, yes, we had tried. The claim of not having enough milk is so common now, and its ubiquity seemed, irrationally, to lessen the justification of my pain. 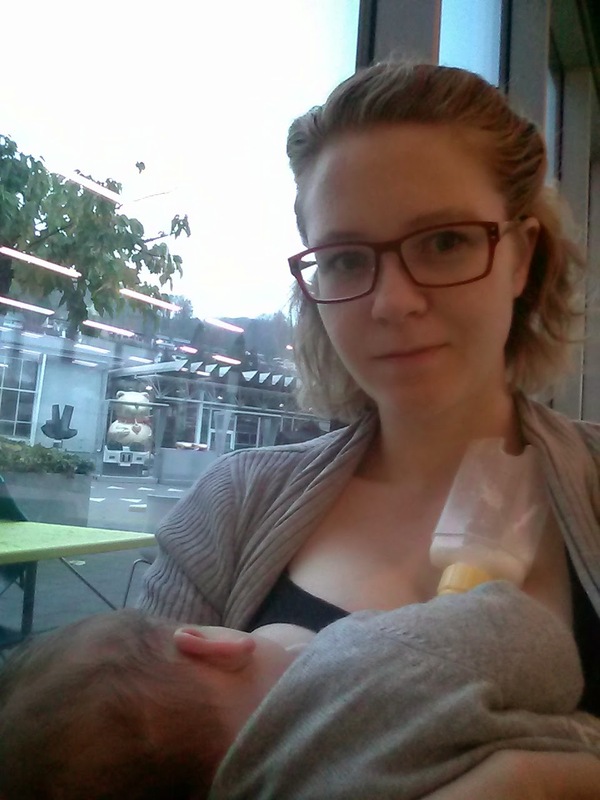 I want to be part of the Exclusive Breastfeeders Club like nothing I have wanted before, and instead I belonged to the Low Milk Supply Club, or even worse, the Claims She Has Low Milk Supply Club (but-she-is-yet-to-treat-the-underlying-cause). In a fit of rage at the latest expert who did nothing but congratulate me, I posted a photo on my breastfeeding blog of my boy’s tongue. When comment after comment came in from friends who said that it did, indeed, look like a tongue tie – as I had claimed six months before – I felt as if my world was imploding. I had all paediatricians, midwives and four different lactation consultants claim that he didn’t have one. I wasn’t continually hunting for a fifth professional opinion on this, when it had been so actively refuted. I could not find any reason or logic in anything that I was doing anymore, after so many were telling that yes, indeed it did look like that, and I became a confused, anxious wreck. All that I knew that was true was being turned on its head. The potential idea that my inability to feed my two children was actually nothing to do with my body and my breasts, and may actually be due to them and their anatomy, sent me reeling. This was indeed confirmed by the paediatric dentist, who, meanwhile, was the first person to congratulate me on continually searching for answers. The photo that got everyone talking. 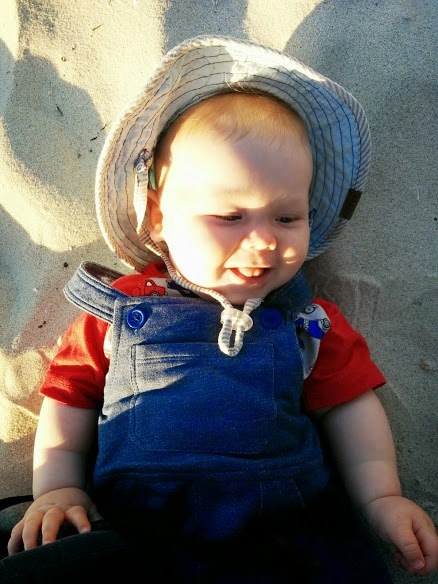 My baby was almost six months old when I managed to snag that appointment with the paediatric dentist for his tongue tie, while we were holidaying in Australia. On our way there, I was very conflicted, I was deeply unsure of what I would want to do if they found a problem; all I knew was that I wanted answers. He has just recently started solids once a day, so I was thinking that maybe it wasn’t even necessary. I questioned whether I was just being selfish now, wanting to breastfeed him when it perhaps wasn’t so vital for him anymore, and did I really want him to have a surgical procedure and to endure pain in order for us to do that? I felt that I just needed to know, then I could make my decisions later. 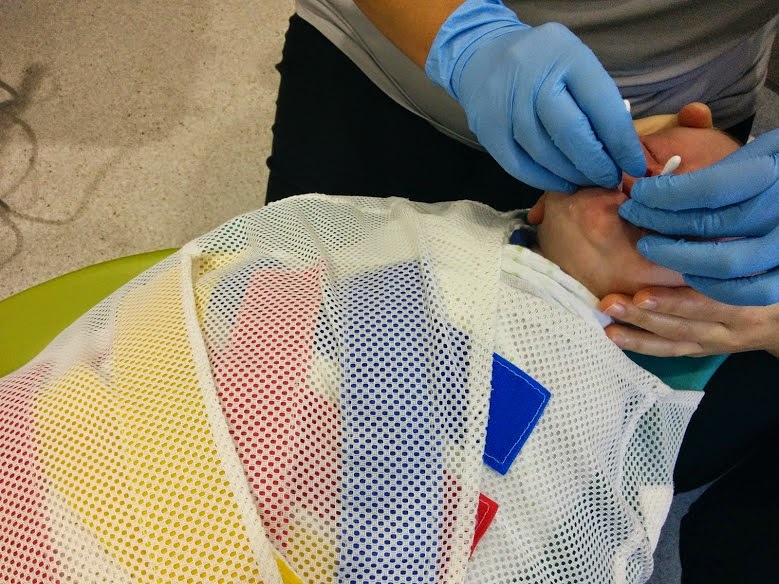 When the dentist confirmed tongue and lip ties, we discussed options: If this was a five week old baby, he said, he wouldn’t hesitate; It would make an enormous difference to feeding. But now, my little one has learnt how to feed in his own way, and it would perhaps not change anything. But I had my answers. He discussed the fact that this procedure is purely a ‘first world procedure’, as he called it, stating that if nothing is done, my baby would continue to thrive and grow up happy and healthy. I could write a whole novel about that comment, meanwhile… He then told me he could remove the tongue-tie right then with a laser, in a one minute painless procedure (using anaesthetic cream), but whether that would make a significant difference or not is unknown, and he would really only do it in cases where the mother was incredibly passionate about breastfeeding. I assured him that this, indeed, was me, and upon further discussion I was convinced of the true painless nature of the procedure. I made my choice: I had to try. If I didn’t I would always wonder, and it was important to me to try not to have any regrets along this journey. This is a choice that I have not for one second regretted. It was through this choice, I believe, that I managed to achieve my dream of being able to breastfeed supplement-free. After his posterior tongue-tie was lasered, I nursed him for a long time, and then we just sat together in the silence. I was searching for my reaction, but I had none. I knew that it would be logical to be angry at all those experts who told me that he didn’t have a tongue tie; to perhaps feel elated that I may have found the real answer to this riddle; to celebrate what may be the next step that I had so longed for. But I just felt empty. Deep deep emptiness. It was after a lot of crying and a lot of time alone in the week that followed that I realised how deeply I still mourned the loss of the breastfeeding relationship with my first beautiful boy. I was, quite simply, sad. He is an extremely sensitive child, a little boy who cries when any song in a minor key is played; a little boy who runs to me panic stricken whenever he can hear another child upset; a little boy who rubs my cheek with his little hands and tells me he is happy and that he loves me infinite; a little boy who so easily becomes overwhelmed in this great big world around him. He is a little boy who would have so benefited from the connectedness and the comfort that breastfeeding brings, but I had found out the answers too late for him. I still feel unconvinced that this really does explain everything, but maybe it does… I just don’t know. It sure makes sense, yes, but having never managed to get it sorted out and achieve exclusive breastfeeding, I feel I never really made it. I have learnt that I hold onto things. I cling onto my pain and I must resolve to ‘let it go’ more often in all aspects of my life. I had never before truly realised the extent of my stubbornness. Sure, my husband has mentioned it on occasion before, when it rears its ugly head from time to time, but I have learnt that if there is anything in my life that I truly set my heart on, I will be willing to go through anything to achieve my goal. Being this way is both a blessing and a curse, as I am sure that this trait of mine is largely responsible for sticking with the SNS for so long, for continuing to hunt for answers. I have learnt the degree of self-sacrifice that I will put myself through for my children knows no bounds, but that this is also not necessarily a good thing, and that I also need to focus on self-love and healing. 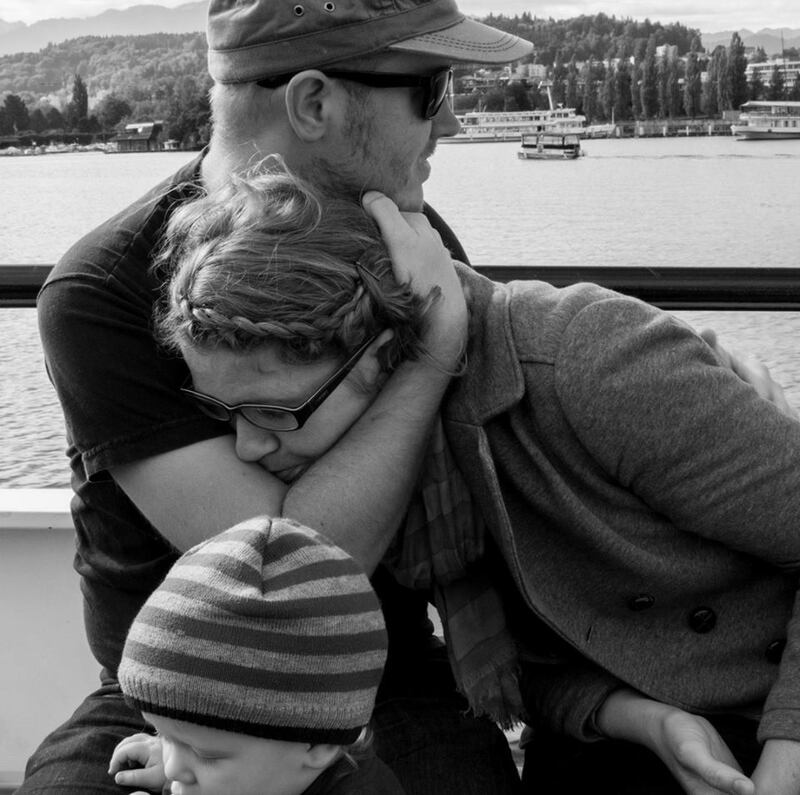 I do know, though, that no matter what decisions I made during the first year of my second-baby’s life, it would have been a very difficult year for me. I have come a long way in dealing with my body issues regarding to breastfeeding. I spent years believing that my body is flawed, of hating my breasts and their total futility, of struggling to come to terms with being unable to fulfil that primitive need to keep my baby alive with my body alone. When I stopped attempting to breastfeed my first baby, I literally wanted to chop off both of my breasts. Literally. I saw them as entirely non-functional and they became a symbol of failure that were permanently attached to my body. They were the source of so much pain, and each time I looked at them I was reminded of my grief and of all that I could not do for my baby. This time around, my breastfeeding journey has been intense not only due to the breastfeeding itself, but because it has also been a journey of learning to love myself. My midwife noted the way that I prodded at my breasts, poked them, treated them roughly and with no love whatsoever. She helped me to discover a new frame of thinking, taught me to be gentle with myself, physically as well as mentally. I have come a long way in accepting that while my body is flawed, it is to be loved and respected. I was incredibly lucky to have two relatively trouble-free pregnancies and two incredible births, which is one of the body’s greatest tests, and something that I must always love my body for being capable of achieving. Another interesting thing that I have learnt along my journey is that breastfeeding to me is absolutely not about the milk itself. It is not about the massive nutritional benefits it provides for my child and all of the many other benefits that are readily discussed; it is about my instinct to be a breastfeeding mother. If my boy were to have never successfully latched, I have come to realise that I would not have been one of those incredible mothers who pumps exclusively for my child so that he can consume my milk from a bottle. I’d like to think that I would have, but I know deep down that this is not the case. 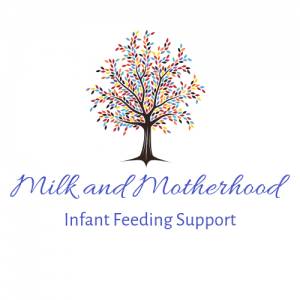 When I had the opportunity to use donormilk, I took it and loved the knowledge that he was getting one-hundred-percent breastmilk, but it didn’t fill me with the intense satisfaction that so many around me had expected. I wanted to bring my child to my breast in his time of need, whatever need that may be, and for him to find solace, satisfaction and everything that he requires. It is only once we managed to remove the need for any supplemental milk that I was capable of doing this, and it was then that I had achieved my dream. 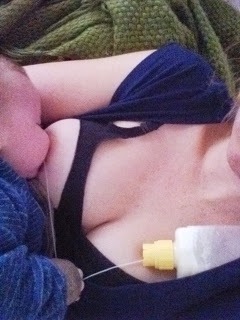 Only then did my breasts serve not only as the provider of milk, but also of all of those other things I desired: as pain relief, as a way to find calm when the world is overwhelming, as a way to drift slowly to sleep, as a way to relieve hiccups, as a way to relieve frustration, and simply as snuggles and comfort. My journey is exactly that – it is mine. I made many choices along the way, every single day. I empowered myself with information, with scientific, esoteric knowledge, and I never stopped (and I think will never stop!) my quest to continue to learn. I do not wish for any mother’s journey to follow the path that mine did, but I wish for information to be made readily available to them, for them to be able to actively make informed decisions. This is what all mothers need to be able to move into motherhood with confidence, along with wonderful, knowledgeable support networks, and this is my goal in assisting new mamas. And perhaps one day I actually will get a tattoo: I have enough, I do enough, I am enough.